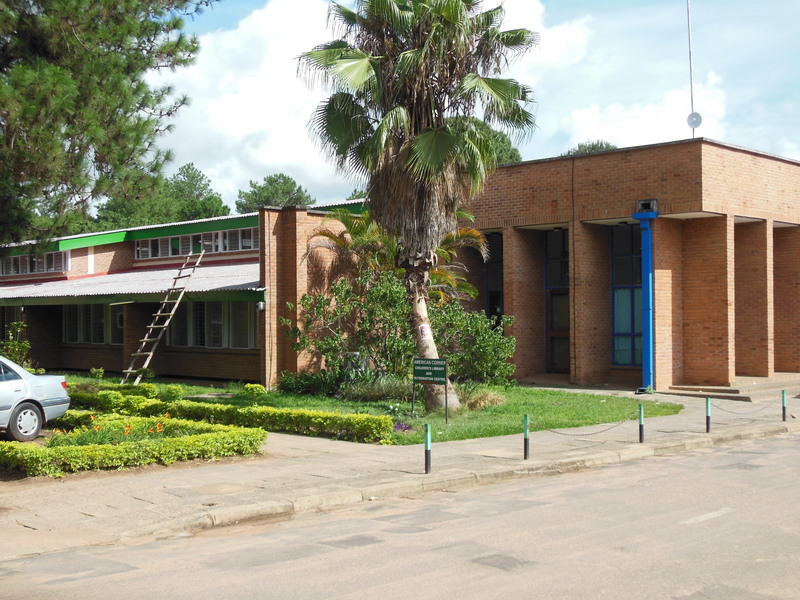 In December 2016, Mzuzu University (Mzuni) experienced a tragic fire during which they lost their entire library of 45,000 titles. This was a major loss for the university and for the northern part of Malawi, where educational books are extremely scarce. I visited Mzuzu University the day before the fire and took was is probably the last photo of the library. In July of this year, I co-taught a joint WASH course for Virginia Tech, Denver University, and Mzuni students at Mzuzu University and was able to visit the library again. I was reminded of the shear scale of the destruction that is captured by the sequence of images below. Since January, a growing group of students and faculty at Virginia Tech and Radford University have been working to collect books for a new library. We partnered with the Malawian Education and Children’s Welfare Foundation that has been charged by Mzuni to lead the U.S. response to their library rebuilding effort. The Mzuni Library Initiative has been an intense, but highly rewarding experience for all involved and this past month we reached a milestone with the collection of 5,000 books for Mzuni. We are now focusing our efforts on finding a way to ship these boxes to Malawi and hope to have them in route within the coming weeks. During my time at Mzuzu University this July, I was able to speak with the Vice Chancellor and the Chief Librarian about how Virginia Tech could continue to help their rebuilding effort. In addition securing replacement books, there is also a need to help design a new signature library building. Given Virginia Tech’s expertise in architecture, building construction, engineering, etc., my plan is to find a way for our students and faculty to work on this new phase of the Mzuni Library Initiative. Please contact me if you believe you can help. For the next two years (or more), students at Mzuni will have access to a temproary library (see below) that is slowing beginning to expand its collection of books. While they have made some progress, they are far from having the full range of books needed to support all of their academic programs. Our hope is that the 5,000 books (~10% of the books lost in the fire) we send will significantly improve their situation.